Typing fictional characters might not really fit the self-discovery theme of this blog, but I like doing it for two reasons. 1) It’s fun, and 2) looking at fictional characters’ identities and personality traits can help us understand ourselves and others. 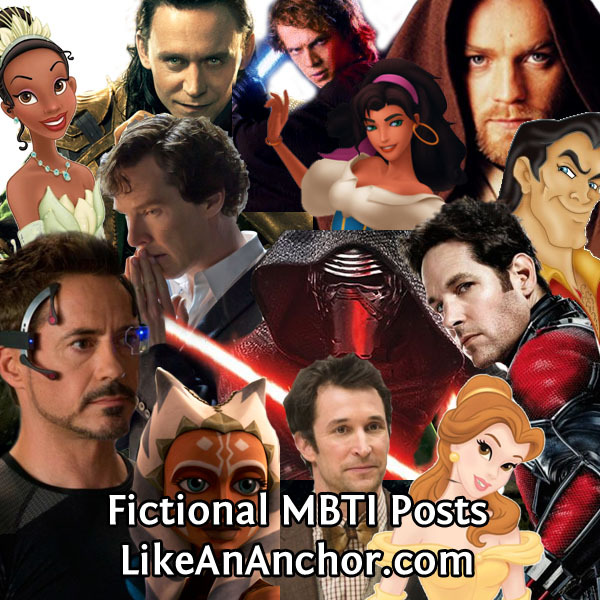 They give us examples of what the different Myers-Briggs types can look like.